The death of the Saudi citizen and Washington post journalist Jamal Khashoggi generated great concern in the west and rightly so. Indeed, he was a resident of West Virginia, murdered and dismembered by Saudi security officials in the very building of the Saudi consulate in Istanbul. The outrage was great and justified and the Saudi explanations about the circumstances of the incidents were as absurd and clumsy as the act of murdering the journalist. The circumstances of Khashoggi’s death continued to be covered up as many sectors of the American public and media questioned if we should continue the kind of alliance we have had with Saudi Arabia. A bipartisan group of Senators wrote a letter to President Trump requesting that he decide whether sanctions should be imposed on Saudi individuals and leaders under the 2017 Global Magnitsky Human Rights Accountability Act. Under this law, thepresident must decide whether to impose sanctions on a foreign person or persons responsible for extra-judicial killings, torture, or violators of human rights who seek to suppress dissidence. 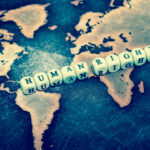 However, are we being consistent in terms of our human rights policy, or are we reacting only to high-profile cases that are widely covered by the media, or to specific group pressure, or some other dependent factors? Coincidently,a few days after the disappearance of Khashoggi, a Venezuelan councilman from the dissident party,Primero Justicia, was allegedly murdered by the government of Nicolas Maduro in Venezuela. The description of the alleged murder was no less outrageous. In fact, it is amazingly similar. Caracas Councilman Fernando Alban was arrested at the Simon Bolivar International Airport upon arrival from a trip to the United Nations General Assembly that he attended to denounce the Maduro government’s human rights violations. Alban was first accused by the Venezuelan government of plotting to kill the president. Later he died in dubious circumstances while he was in the custody of the secret police (SEBIN). Venezuelan officials claimed he committed suicide by jumping from the 10thfloor of the police building. However, it is widely believed that Alban was murdered and then thrown from the police building to make it appear as a suicide. Like in the case of Khashoggi, the opposition accuses the government of torturing and murdering him. At the time of Alban’s murder, the chairman of the SenateForeign Relations Committee, Bob Corker, was visiting Caracas and met with Maduro ironically to “get a sense of a way forward” in U.S. relations with Venezuela. Corker defined his meeting with Maduro as “very good,” but it is not clear why. Although the Alban case in Venezuela generated some condemnations and reactions from the United Nations, the Organization of American States and the European Union, the impact of the Alban case was minimal in comparison to that generated by the murder of Khashoggi. The Trump Administration issued a statement accusing the Maduro regime of the murder. Senators Marco Rubio and Congressmen Ileana Ross-Lethinen, Carlos Curbelo, Albio Sires and Mario Diaz Balart held a press conference where they expressed their belief that Alban was murdered by the Venezuelan government and demanded more sanctions on Venezuela and on the perpetrators of the crime. 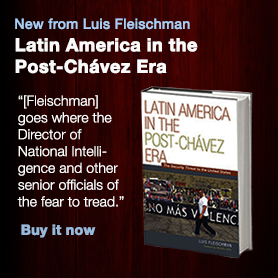 To be sure, in Latin America murders that look like suicide or accidents have happened often. The Cuban government is believed to have eliminated human rights activist Oswaldo Paya in 2012. On the surface, it looked like a car accident but many in Cuba and outside are convinced that it was an act of murder by the government. The Obama Administration normalized relations with Cuba two years later and this episode was quickly forgotten. In Argentina, more than three years ago, prosecutor Alberto Nisman mysteriously died hours before he was to give testimony against the then Argentinean president Cristina Kirchner. The official version stated that Nisman committed suicide. However, very few in Argentina and abroad believed this version. Most recently an Argentinean Federal Court confirmed that Nisman was murdered in his own home after being drugged and beaten by two individuals. Nisman was murdered because he was accusing then president Cristina Kirchner and some of her closest ministers and aids of covering up Iran’s responsibility in the terrorist attack that took place against the Jewish community headquarters in Buenos Aires in 1994. Nisman maintained strong cooperation with the American security establishment and was fighting against the absolution of Iran at a time when Iran was an important issue in the United States given the Islamic Republic’s pursuit of nuclear weapons, its continued support for terrorist activities and its interference in Syria and Iraq. Yet, there were no major reactions from the Obama Administration, most members of Congress or the media. Certainly, Argentina was not pressured then as Saudi Arabia is being pressured now. 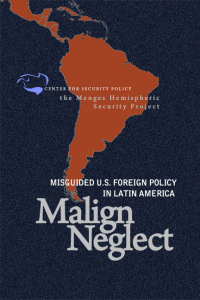 At that time from the pages of The Washington Times and the Center for Security Policy, I published this piece, urging the U.S. government to declare the then Argentinean government led by Cristina Kirchner and her cabinet members as personas non-grata and deny them entry visas to the U.S. The article had repercussions in Argentina but fell on deaf ears in the United States. The Kirchner government was relieved that the U.S. did not apply pressure on them. That attitude gave a pass to the Kirchner government to present the crime any way they wished.This was only rectified after the Argentinean government changed to a new administration. To this day, it is still not clear who orderedNisman ‘s murder and how it was carried out. So, what is our criteria when we decide to act or ignore an episode that constitutes an act of murder or a violation of human rights? What is the logic that we follow? It is true that the Global Magnitsky Law did not exist in 2015 when Nisman mysteriously “committed suicide”. The 2012 Magnitsky Law existed but applied only to Russia. Now we have the Global Magnitsky Law and there is no excuse not to increase sanctions on the entirety of the Venezuelan political, military, and security establishment. Perhaps we need to go further and impose measures that would enable these people to be tried in the United States as we did with former Panama dictator,Manuel Noriega. There is no question that we need imperatives like the Magnitsky and the Global Magnitsky Acts precisely in order not to discriminate between cases such as Khashoggi’s, Alban’s, Nisman’s, Paya’s or victims of the Putin regime. But still, the Global Magnitsky Act requires a letter from high ranking Foreign Affairs Committee Senators. In other words, our human rights policy depends on the kinds of people like Senator Corker who still have a problem recognizing Venezuela and Nicaragua as ruthless dictatorships and gross human rights violators that challenge regional and national security. This brings us back to square one. There is something fundamentally wrong in the way we are approaching political and human rights crimes. What is our definition of what constitutes a human rights crime? Do we have one? If not, we will continue to depend on media coverage and pressure groups that will define it for us. We need to find a bipartisan consensus to this problem that has made us selective in the way we approach such an important moral and political challenge.